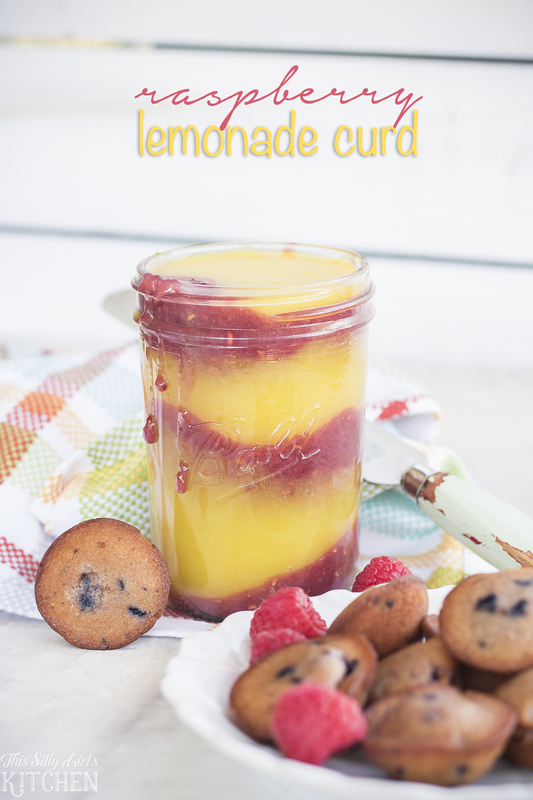 Raspberry Lemonade Curd, a beautiful, layered curd made with fresh squeezed lemons and raspberries. Perfect for slathering on toast, muffins or for use in desserts. Let’s face it… mornings are tough. Often times they can just go by in a blur or lunch boxes and briefcases and out the door, we go! And, because of this rush, rush we also tend to forget one of the most important parts of the morning; breakfast! Thanks to Little Debbie®, they have you covered in the breakfast department. 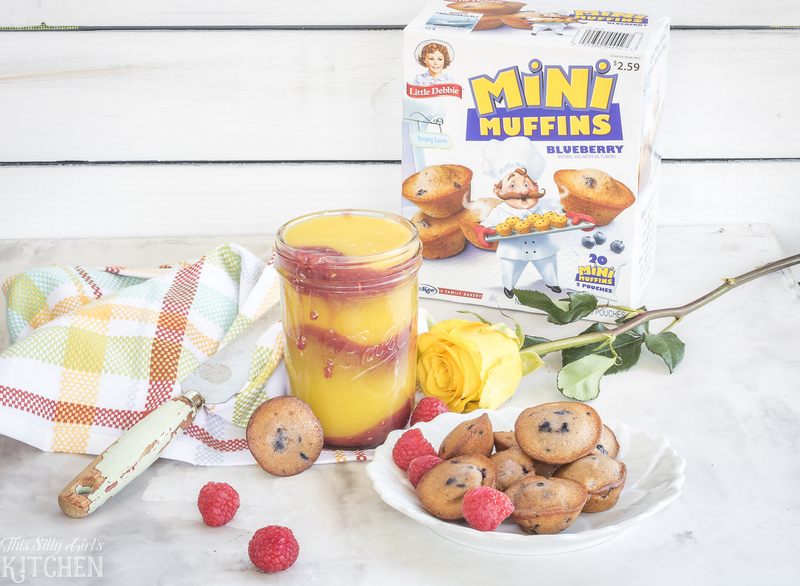 Little Debbie® Mini Muffins are a great option for grab and go in the morning! 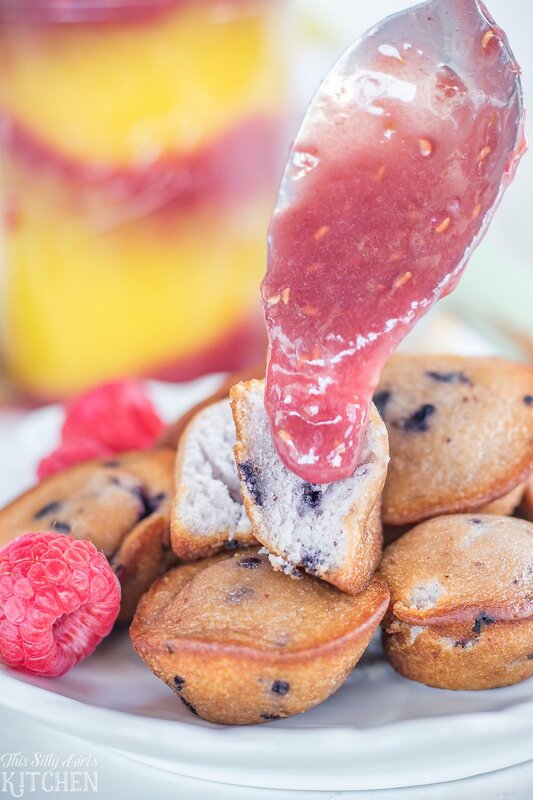 My personal favorite flavor of mini muffins are the blueberry! I love them because I get to slather one of my favorite condiments on them, lemon curd. You just cannot beat homemade lemon curd. 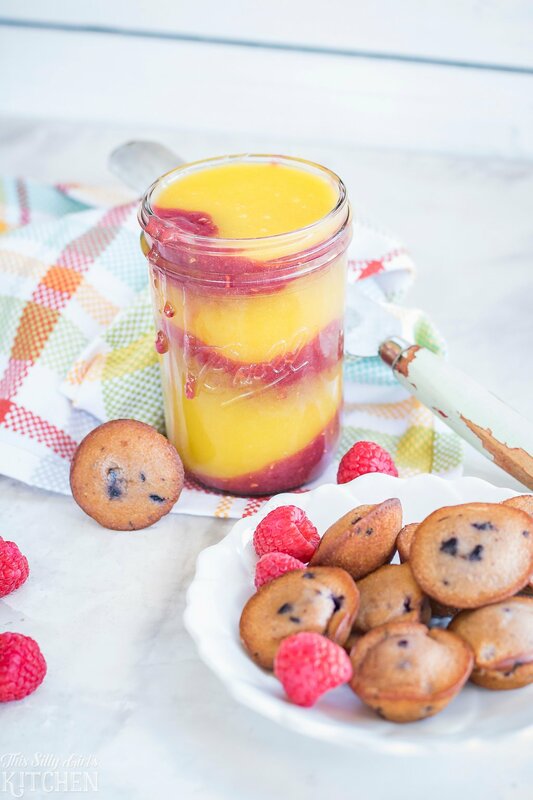 Unless of course, you add raspberries to it and in that case you get today’s recipe: Raspberry Lemonade Curd! 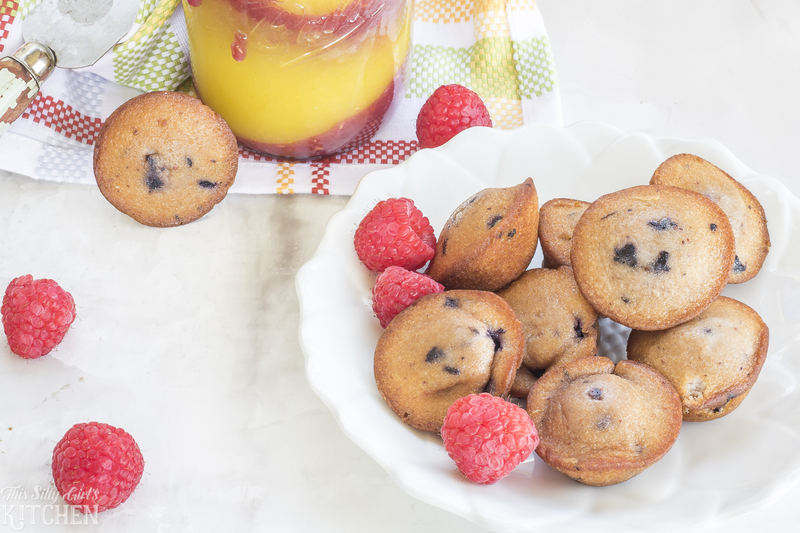 The perfect accompaniment to Little Debbie® Mini Muffins! 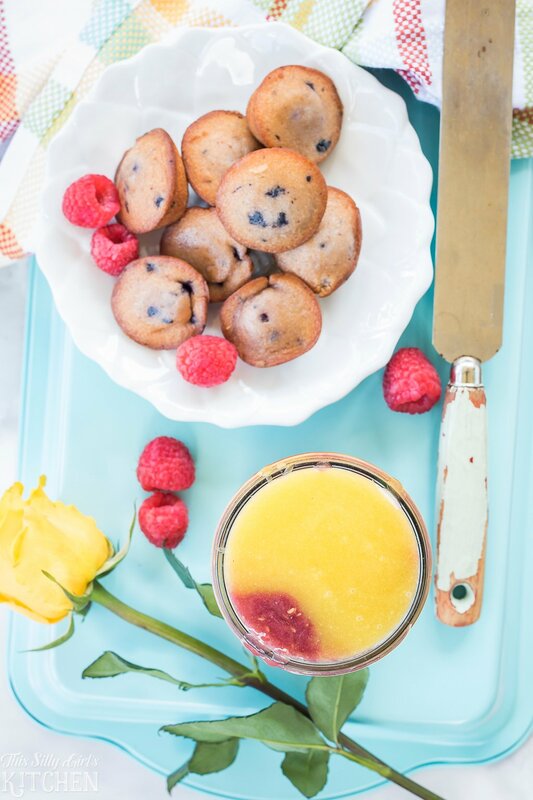 The flavors of raspberry, lemon, and blueberry just go so good together, yum! 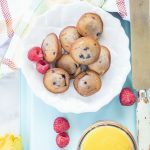 The best part is, you can make the recipe for the curd on the weekend and you have a great snack or breakfast for any time during the week! Easy, peasy. In a small sauce pot, add the lemon juice, 3/4 cup of the sugar and 3 egg yolks. Whisk until smooth, place on medium heat and bring to a boil, stirring constantly. Cook for 4 minutes. Take off the heat, add in 4 tablespoons of the butter, 1/4 teaspoon of the vanilla and a pinch of salt. Stir to combine, let cool completely. 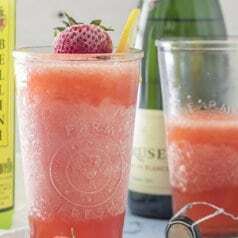 Repeat the first step but in place of the lemon, use the raspberry puree and use the remaining ingredients as listed in the first step. Once the curds are cool, layer in an airtight container and store in the refrigerator, enjoy. You, of course, do not need to do the layering effect as I have done in this post. 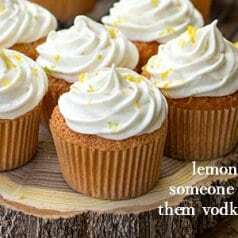 If you wish to just mix the two together, place the lemon juice through eggs, whisk everything until combined and cook as listed in the first step. Add all the butter, vanilla and salt. Store the same way. 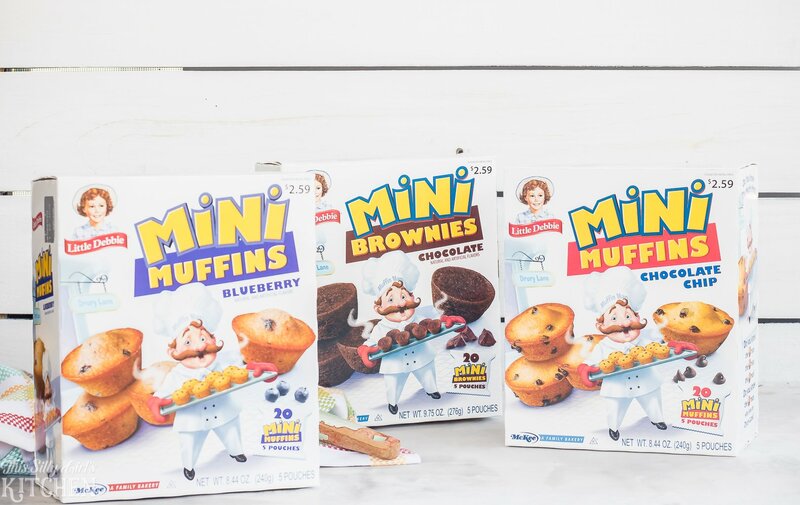 Little Debbie also has mini muffins in chocolate chip and mini chocolate brownies! You KNOW I am a sucker for all mini foods! Can’t get enough Little Debbie like me? Make sure to follow them on Facebook and Instagram! 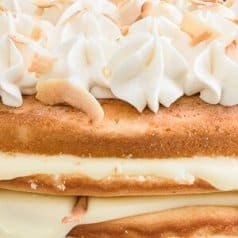 These recipes look and sound amazing. 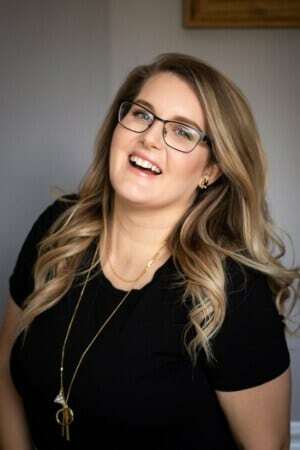 So happy to find your awesome recipes. I’ve never made curd and would love to give it a go. Your recipe looks and sound delicious. Those little muffins are really cute. I love Little Debbies! 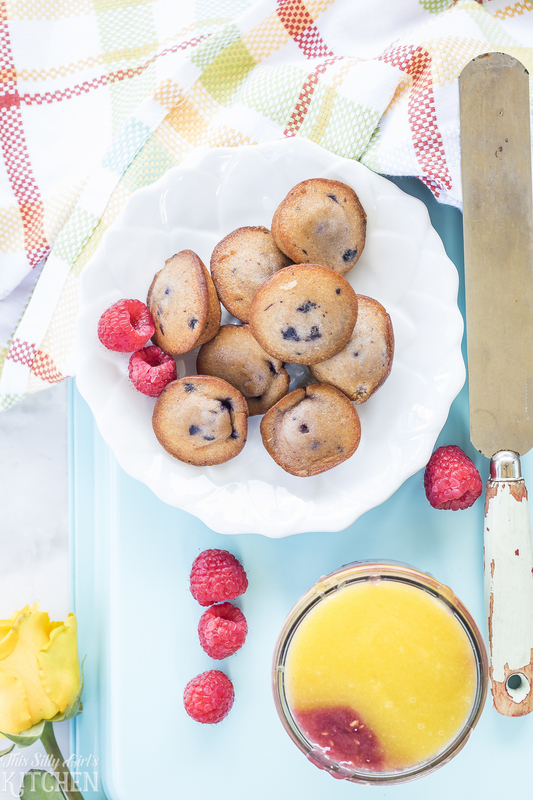 And, your raspberry lemon curd sounds amazing and perfect to spread on this little muffins!